Max Scherzer has an injured knuckle on the ring finger of his pitching hand. Say that back ten times. This is kind of a strange time to come out with an injury. Apparently, Scherzer has been dealing with this injury since late last season. The most recent MRI results of Scherzer’s finger showed the stress fracture that developed late last season is, as he put it, “essentially healed.” But the reigning National League Cy Young Award winner was not ready to pitch off a mound during the first official workout of the Nationals’ season. He might not be ready for Opening Day, either. I heard Dusty Baker talking about it, and he sounded a bit down in the mouth. Understandable, as the Nationals always seem just a bit snakebitten throughout history. That window is closing, and it’s going to slam shut without them ever even winning a postseason series. There will be documentaries made on this some day, or books written. It is tragic almost. 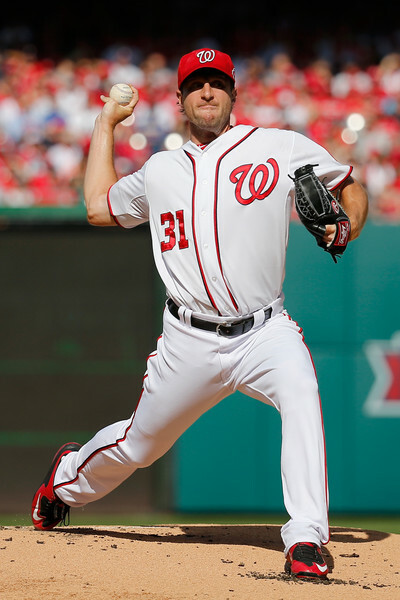 Our best guess is Scherzer is fine for most of the season but just eased into action a bit slowly. It’s an interesting situation worth monitoring as we head towards April though.